Andrew David Barker is following up his excellent film related novel, The Electric, with a new novella called Dead Leaves. 1983 – Derby, England: Set amidst the furore and media firestorm surrounding the so-called ‘video nasties’, DEAD LEAVES is a coming-of-age novella about a group of horror fans and their search for vilified VHS ‘The Evil Dead’. Darkly funny and brutally honest in its depiction of aimless life in a midland town, Andrew David Barker’s latest work perfectly captures those turbulent first few years of video and the impact it had on a generation. The Electric was a superb read, so I will be looking forward to this one. Especially as I remember trying to track down various video nasties back in the day. 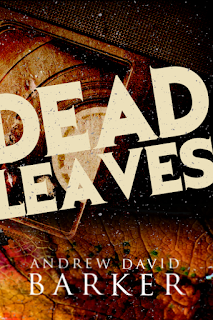 Published by BooBooks, Dead Leaves is due out this October.